In a previous post, I wrote on why you should upgrade to Winshuttle Studio 11 and now I will dive into a little more detail on the specifics around Studio v.11 that differentiates it from its predecessors. The new look and feel and the design-thinking approach of Winshuttle Studio v.11 are important, but under the covers there is a whole lot more. 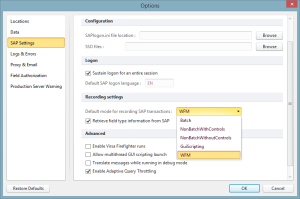 We always shied away from Batch and GUI Scripting whenever possible because with the data in batch recordings was one directional, you could only feed data into SAP and the only result you would get would be a file or log. This meant that data contained in SAP structures was difficult to use in a batch script to get that data out. Additionally, a query couldn’t always be used, because a query didn’t work properly with structure based data. For example,structure-based data is something calculated, like available inventory to promise (ATP) for a sales order. With GUI Scripting, the challenge was that it was slow and locked up your machine while the script was running. That is why we encouraged the use of non-batch, however this method of data entry didn’t work for all use cases and there were some transactions that didn’t play nicely at all with non-batch. We remained committed to non-batch as a method in the end, but needed to find a way to enhance the overall experience and be able to handle some of the strange and inconsistent behavior sometimes seen with the non-batch method. We’ve addressed this by enhancing the Winshuttle Function Module, pretty much a prerequisite these days for SAP ERP systems with the advent of Support Pack 24 and higher, and now we handle some of the interaction with SAP transactions directly from the function module. 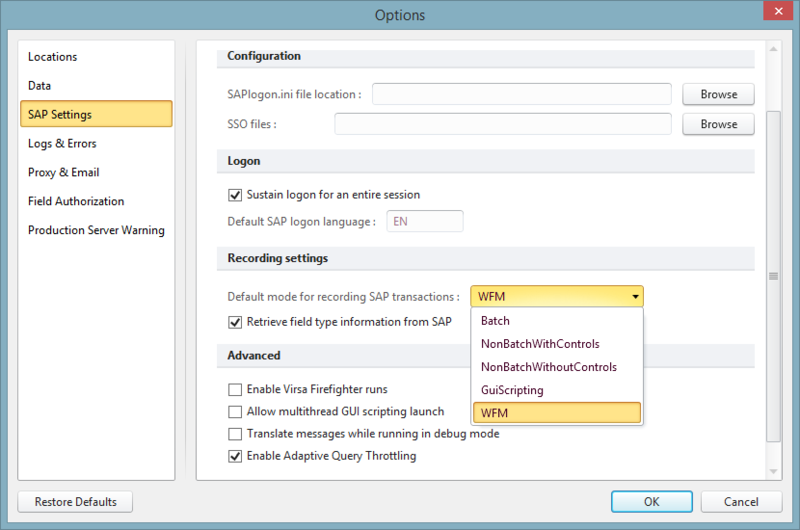 For years we promoted the idea that you didn’t need anything on the SAP system for recording transactions; but the tide has turned, and now we strongly recommend that customers install the Winshuttle Function Module because it opens up more avenues for performance improvements and enhanced functionality. At the most basic level, early indications show that you can reap the benefit of at least 10% faster upload times. These early results are likely to improve even further as we explore more ways to upload data faster into SAP. Better performance can of course be achieved by looking at a few core principles, irrespective of whether you upgrade or not. Don’t forget about the distance your data has to travel from your machine to the SAP system – this can introduce performance latency, so if you have a slow network or you’re remote, consider terminal services or a product like Citrix XenApp to host Office and Winshuttle. You should also consider scheduling, and running jobs off-peak instead of regular SAP usage hours with Winshuttle. 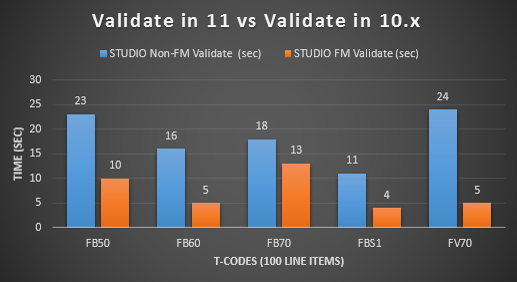 This feature has been improved considerably with Winshuttle Studio v.11, even supporting recursive interval based scheduling down to as frequent as every 30 minutes! The official release of Winshuttle Studio v.11 will be at the Winshuttle User Group – but if you are a Connect user and interested in getting your hands on a pre-release version, please simply contact support@winshuttle.com or your account representative for more details.